Acne occurs when our body makes excess sebum or skin oil, causing dead skin cells, which normally rise to the surface of the pore for the body to shed, to stick together and clog up the pores. This clogging can also trap bacteria that live on our skin, creating a perfect environment for the bacteria to multiply. With a colony of bacteria inside, the pore becomes red and swollen. 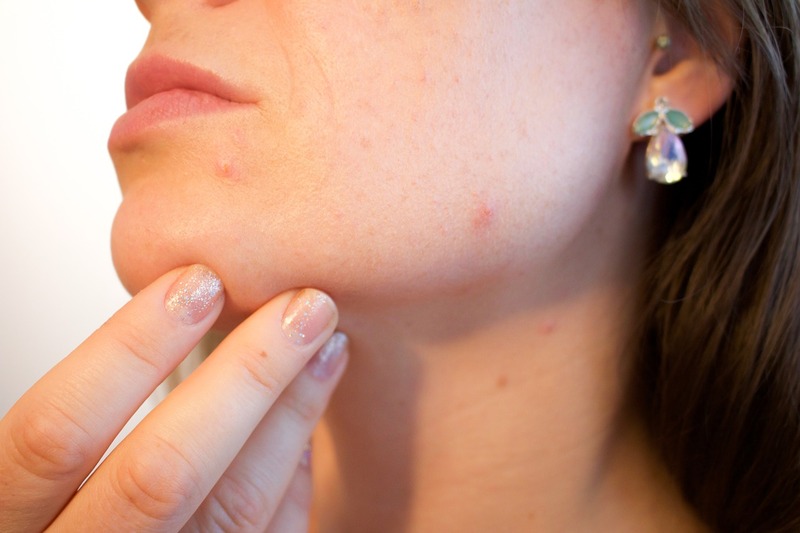 Laser therapy, such as Laser Genesis, works on reducing inflammation by triggering porphyrins, which are compounds that live inside acne bacteria. Once these are triggered, porphyrins cause damage to the bacteria wall, thus killing the bacteria and effectively reducing acne symptoms. Laser also reduces sebum levels so excess oil that could trap dead skin cells is minimized. Side effects include varying levels of redness after the treatment, with some reporting inflammation, skin peeling, blistering or crusting. Lasers are usually well-tolerated, with patients able to return to their regular activities after the treatment. Chemical peels are chemical solutions applied to the skin so it exfoliates and peels off, revealing new, regenerated skin. Some chemical peels, like the Cutis Anti Acne Peel (a chemical peel in Singapore developed by a trusted medical aesthetic clinic), are specifically formulated to kill acne-causing bacteria by deeply penetrating the skin and unclogging the pores. For very sensitive skin, a gentler alternative is medical-grade chemical peel called VI Peel formulated not only to clear acne but also to eliminate scars that have been left behind. In addition, VI Peel can improve your skin tone, texture and clarity, and stimulate the production of collagen to give you firmer and more youthful skin. As with all chemical peels, there is a potential of temporary or permanent change in skin color, scarring, or reactivation of cold sores. Acne treatments such as laser therapy and chemical peels are only effective if you have basic, solid skin care. Because acne-prone skin is more sensitive than normal or dry skin, it requires more careful selection of skin care products that are mild on the skin yet provide sufficient cleansing to kill acne-causing bacteria, unclog pores, and control sebum production. For at-home care of acne vulgaris, use a mild wash that provides anti-bacterial and anti-inflammatory benefits, such as the Purifying Aza Cleanser from Dr Sylvia Skin Care. This cleanser contains azelaic acid, arnica extract, biosulphur and kaolin clay that all work synergistically to stop the growth of acne-causing bacteria, control sebum, and draw out dead skin cells and other impurities from the pores. To remove accumulation of keratinized skin cells and residue from cosmetics or tap water, follow up with Purifying Aza Toner, also from Dr Sylvia Skin Care. Containing azelaic and salicylic acids, biosulphur and witch hazel, Purifying Aza Toner is specifically made for oily and acne-prone skin type as it helps control skin oil production, prevents pores from getting clogged, fights inflammation, and provides skin whitening effects to minimize the hyperpigmentation left behind by acne scars. Because most lotions, gels or cream for pimples are thick and could potentially congest the pores, it is essential to use a moisturizer that provides ample hydration without aggravating or causing congestion. Dr Sylvia’s Botanical Hydration Gel with Licorice Root Extract is ideal for oily and acne-prone skin because it is a light, oil-free cream gel that easily gets absorbed into the skin without leaving a sticky feeling. Licorice root extract reduces skin inflammation, while tea tree and lavender oils found in this gel fight bacteria that make the irritation worse. Dr Sylvia Skin Care products have been developed by Dr Sylvia Ramirez, a Harvard-educated and highly trusted aesthetic doctor in Scotts Road, Singapore.